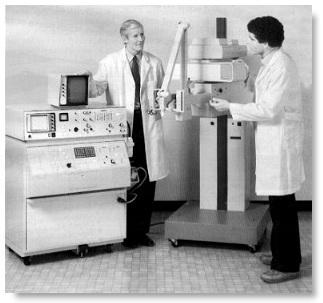 The newest and last compound B scanner the Datason® from General Electric® which was marketed in 1983. It has a huge though elegant scanning gantry which was supposed to eliminate the need for repositioning the patient during an examination. 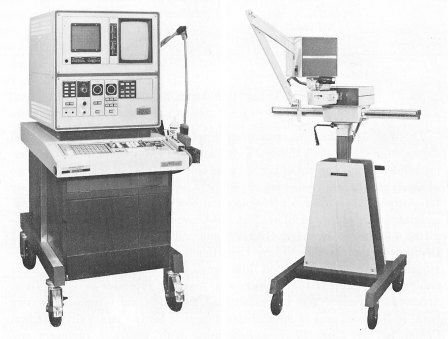 The Picker Digital Imager II® which was marketed in 1982. One of the best static compound B machines in the market but nonetheless sales were hit by the advent of the realtime machines. The Toshiba® SAC-12A which was marketed in 1979. A combined static and real-time scanner and one of the best from Japan, with a new digital scan convertor.